Epic Games just launched a new skin bundle but for PC. 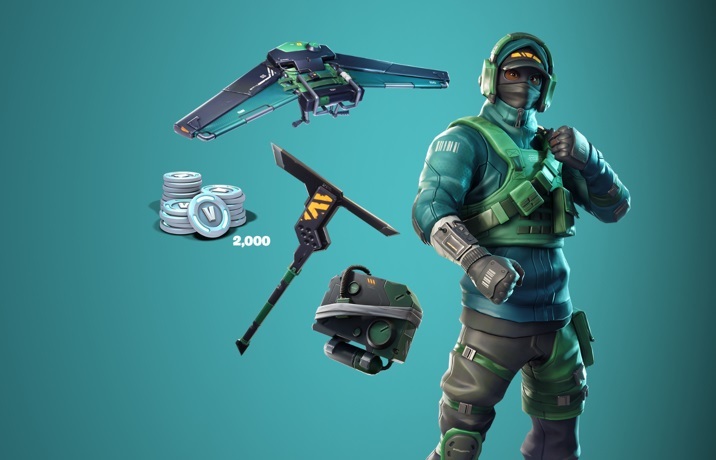 Nvidia in collaboration with Epic Games have announced a Fortnite bundle that comes with Nvidia’s GPU and laptops. Previously, we’ve seen skin bundles for PS4, Xbox, Switch and the Samsung Galaxy Note 9. The bundle is called “Counterattack” and is said to arrive along with Fortnite’s Season 7 which is likely going to be a winter-themed season with Season 6 ending next Wednesday. This is a good deal for those Fortnite lovers and gamers out there who are currently looking to upgrade their GPU, building a new PC or grabbing a gaming laptop to cash in on the bundle as well for some decent looking cosmetics. Here’s a link for participating retailers to make your scanning for them easier!